The Quebec Government recently announcement that it will adopt the regulation that will include the implementation of a system in which the movement of contaminated soil will be tracked in real time. Under the tracking system, the site owner, project manager, regulator, carrier, and receiving site, and other stakeholders will be able to know where contaminated soil is being shipped from, where it’s going, its quantity and what routes will be used to transport it. Contaminated soil will be tracked in real time, starting from its excavation, through a global positioning system. The system, Traces Québec, is already in place in Montreal as part of a pilot project launched last March. Traces Quebec , an initiative of Réseau Environnement in partnership with WikiNet , offers the first integrated traceability solution for contaminated soils in Quebec. 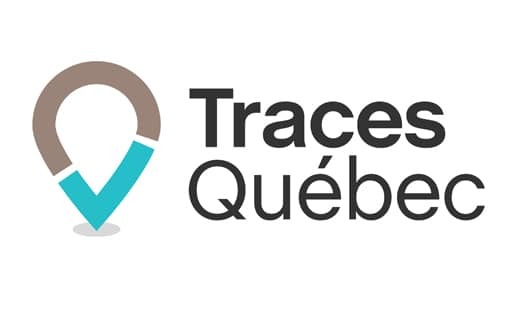 Performing on a web platform, the Traces Quebec traceability system allows contaminated soil owners to follow in real time the movement of their materials and to have an encrypted, confidential and archived trace of the displaced materials. In an era of transparency and eco-citizenship, Traces Québec allows contaminated soil owners to demonstrate beyond any doubt their exemplary management of these materials. Combining the Internet of Things (IoT) and artificial intelligence, Traces Quebec is an independent application that allows complete traceability of materials to their destination. Transactions are encrypted, unalterable and private, and compatible with smart phones and conventional GPS fleet systems. With a system such as Traces Québec, all players in the field in Quebec will benefit from increased traceability and responsible management of transported excavated materials, particularly treatment, transfer stations and landfills, which will increase the volume materials shipped to their sites. Owners of these materials concerned with their good management, including municipalities, will also come out winners and can easily testify to their good management. 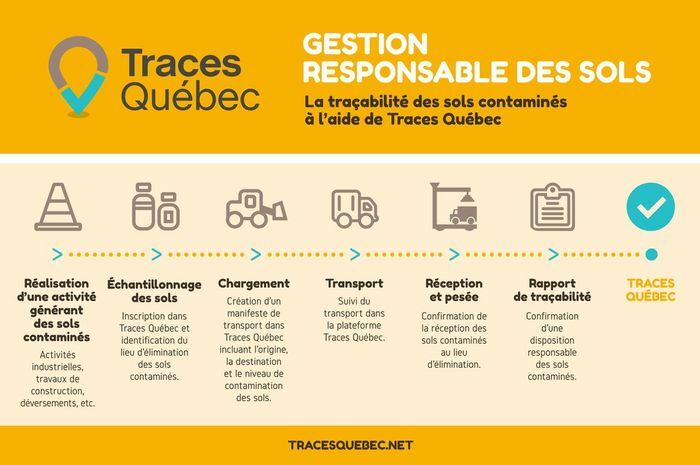 Management in compliance with the laws and regulations concerning the protection of the environment; this is the essential contribution of Traces Québec. The Quebec government also intends to increase he number of inspections on receiving sites. Furthermore, fines will be increased for those taking part in illegal dumping — from $350 to $3 million depending on the gravity of the offence, the type of soil and if they are repeat offenders, among other criteria. In its continuing quest to meet regulatory deadlines imposed by the 2016 amendments to the Toxic Substances Control Act (TSCA), the United States Environmental Protection Agency (U.S. EPA) has published a list of 40 chemicals that must be “prioritized” by the end of 2019. The announcement marks the beginning of the Agency’s process for designating the 40 listed chemicals identified as either “high” or “low” priority substances for further the U.S. EPA scrutiny. At the conclusion of the prioritization process, at least 20 of the substances likely will be designated as high priority. A high priority designation immediately commences the U.S. EPA’s formal “risk evaluation” procedures under the amended statute. The risk evaluation process can lead to “pause preemption” under the terms of the 2016 amendments and new state laws and regulations restricting the manufacture, processing, distribution, and use of a chemical substance undergoing a risk evaluation could not be established until the evaluation process is completed. The U.S. EPA commenced its first 10 risk evaluations as required under the amended law at the close of 2016. The Agency is required to have an additional 20 risk evaluations of high priority substances ongoing by December 22, 2019. If the U.S. EPA’s risk evaluation process concludes that a substance presents an “unreasonable risk” to health or the environment under its “conditions of use,” the Agency must commence a rulemaking to prohibit or limit the use of the substance under Section 6 of TSCA. The Agency’s announcement of the list of chemicals to undergo prioritization provides the makers and users of the listed substances an important, time limited opportunity to submit relevant information such as the uses, hazards, and exposure for these chemicals. The U.S. EPA has opened a docket for each of the 40 chemicals and the opportunity to submit information for the U.S. EPA’s consideration will close in 90 days (on June 19, 2019). The U.S. EPA will then move to propose the designation of these chemical substances as either high priority or low priority. The statute requires the U.S. EPA to complete the prioritization process, by finalizing its high priority and low priority designations, within the next nine to 12 months. The U.S. EPA has signaled that it has received a manufacturer request for a EPA to undertake a risk evaluation of two additional phthalates which, if administrative requirements for such request have been met, the Agency would announce publicly in the very near term. The 20 low priority candidate chemicals were selected from the U.S. EPA’s “Safer Chemicals Ingredients List”—a list of substances previously evaluated and considered to meet the U.S. EPA’s “Safer Choice” criteria for use in certain common product categories, such as cleaning products. Given the numerous deadlines that are looming under the amendments to TSCA, it is critical that chemical manufacturers and processors of chemicals and formulations remain aware of the recent and upcoming actions under TSCA that can significantly impact their businesses. The following provides a short list of important actions of which to be aware. Active/Inactive TSCA Inventory Designations. EPA released an updated version of the TSCA Inventory in February 2019. The Inventory is available for download here. This version of the Inventory includes chemical substances reported by manufacturers and processors by their respective reporting deadlines in 2018. The updated TSCA Inventory (confidential and non-confidential versions) includes 40,655 “active” chemical substances and 45,573 “inactive” chemical substances. Once the current 90-day “transition period” has concluded, it will be unlawful to manufacture, import or process in the US any substance that is listed as “inactive” without first providing notice to the U.S. EPA. Thus, prior to the expiration of the “transition period” on May 20, 2019, manufacturers and processors of chemical substances that are not listed as active on the February 2019 TSCA Inventory must take steps to activate the substance by filing a Notice of Activity (NOA Form B) for any chemical substance that they currently are manufacturing or processing, or anticipate manufacturing or processing within 90 days of submission. Final TSCA Section 6(a) for Methylene Chloride in Paint and Coating Removers. EPA has released its long-awaited TSCA Section 6(a) rule restricting the use of methylene chloride in paint and coating removers. The final rule prohibits the manufacture, processing, and distribution of methylene chloride in paint removers for consumer use. The rule prohibits the sale of methylene chloride-containing paint and coating removers at retail establishments with any consumer sales (including e-commerce sales). The U.S. EPA declined to finalize its determination that the commercial use of methylene chloride-containing paint and coating removers presents an unreasonable risk. Therefore, distributors to commercial users, industrial users, and other businesses will continue to be permitted to distribute methylene chloride-containing paint and coating removers. However, given recent efforts by store-front retailers to “deselect” such products for consumer sales, it remains unclear how distributions to commercial users can or will occur. The U.S. EPA simultaneously released an advanced notice of proposed rulemaking related to a potential certification program for commercial uses of methylene chloride-containing paint and coating removers. The U.S. EPA has similar programs in place for certain pesticides and refrigerants, and the United Kingdom currently has in place a program to certify commercial users of methylene chloride-containing paint and coating removers. The U.S. EPA is seeking comment on whether a certification program is the appropriate tool to address any potential risks that could be posed by the commercial use of methylene chloride-containing paint and coating removers. Upcoming Draft Risk Evaluations. The U.S. EPA is expected to publish within days or weeks the highly anticipated draft Risk Evaluations for the remaining 9 of the 10 initial substances to undergo TSCA Risk Evaluations under the amended law and which have been under review since December 2016. The Agency will accept comments on the drafts for a limited period. Proposed Rules for 5 PBT substances. The U.S. EPA is required to issue no later than June 2019 proposed TSCA Section 6 regulations for 5 persistent, bioaccumulative and toxic (PBT) substances that were identified during 2016 as priorities for regulatory action. The Agency must propose expedited rules intended to reduce exposures to the extent practicable. *Camille Heyboer also contributed to this Advisory. Lawrence Culleen represents clients on administrative, regulatory, and enforcement matters involving federal agencies such as the U.S. Environmental Protection Agency (EPA), the US Department of Agriculture, the US Food and Drug Administration, and the Consumer Product Safety Commission. Mr. Culleen has broad experience advising clients on US and international regulatory programs that govern commercial and consumer use chemicals, pesticides and antimicrobials, as well as the products of biotechnology and nanoscale materials. Prior to joining the firm, Mr. Culleen held significant positions at EPA serving as a manager in various risk-management programs which oversee pesticides, chemical substances, and biotechnology products. 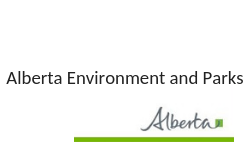 In 2018 the Government of Alberta overhauled the Remediation Certificate Regulation, made under the Alberta Environmental Protection and Enhancement Act (“EPEA”). Effective January 1, 2019, the newly titled “Remediation Regulation” came into force. One of the fundamental changes to the regulatory regime for contaminated sites is the imposition of a timeline for completing remediation, or submitting a remedial action plan that includes a deadline for clean-up. The obligations for remediation under the revamped regulation are grounded in the general clean-up provisions of EPEA section 112, which impose the duty to remediate a release that “may cause, is causing or has caused an adverse effect”. The Remediation Regulation at section 2.2 adds detail to that general obligation, by requiring a person responsible for a contaminated site to remediate this site “as soon as possible”. Alternatively, if remediation cannot be completed within two years, the person responsible shall “as soon as possible” submit a remedial action plan to the director of Alberta Environment and Parks (“AEP”) for approval. The remedial action plan shall include specified information such as the remedial methods to be used and the deadline for completion. In essence, this provision of the Remediation Regulation requires immediate clean-up, but if that is not feasible within the two-year period (i.e. two remediation seasons), then the obligation becomes a requirement to submit a remedial action plan for AEP’s approval. The structure of this new regime is intended to provide the person responsible for a contaminated site the opportunity to clean-up the site within a two-year period and then submit all reports, such as a Phase II Environmental Site Assessment and remediation closure report, to AEP once the clean-up work is complete. That is seen to be a more streamlined process where AEP’s involvement is generally limited until the final review. Alternatively, if the site “cannot be remediated to the satisfaction of the director within a two-year period” (section 2.2 (2)), then the person responsible must follow a different path that involves more oversight by AEP through the process. The first requirement is that the person responsible must submit a Phase II Environmental Site Assessment “as soon as possible” (section 2.2 (1)). The other requirement is that the person responsible must “immediately” submit a remedial action plan that specifies the completion time for the remediation (section 2.2 (2)). Essentially, if the remediation cannot be completed within two field seasons, AEP becomes involved earlier on in the process and has greater oversight over steps such as delineation work and planning of the remediation. Although there is logic in this general approach – that AEP has more involvement on more complex sites – there is some uncertainty as to how this regime will actually be implemented. For example, it is not clear how the requirement to submit Phase II Environmental Site Assessment “as soon as possible” under section 2.2 (1) will be applied. Likewise, it is not clear how it will be determined that a site “cannot” be remediated within a two-year period, as provided for under section 2.2(2). Further, the remedial obligations are subject to discretion of the AEP director as to how those obligations will be enforced, for example, what information will be required, and timelines for completing a variety of steps. It is understandable and appropriate for a director to have discretion in contaminated site matters, as each site is different and will present its own unique circumstances. However, these obligations are very new and there are no precedents for their application, resulting in a lack of guidance which in turn generates uncertainty for those who may be responsible for a contaminated property. Another significant provision with respect to the remedial obligations is the grandfathering clause found in section 2.2(7). Essentially, the Remediation Regulation will only apply to sites reported to AEP on or after January 1, 2019. Sites that were previously reported, will not be subject to the new regime as it is presumed that they would already be engaged in a previous process for dealing with the site. However, as with other aspects of this new regime, the grandfathering clause is also subject to the discretion of the director. In other words, the new requirements for clean-up within two years, or submission of other reports and plans for completing the remediation work, may nevertheless be required by the director for a previously reported site. Again, while it may be appropriate for the director to impose those requirements for certain sites, it is unclear at this time on what basis the director will or should exercise discretion in this regard. The second main part of the refurbished Remediation Regulation relates to the revamping of the regime for issuing remediation certificates, and a newly created Tier 2 compliance letter. Under the new regime, there are two types of remediation certificates available: (1) a “site-based” remediation certificate, and (2) a “limited” remediation certificate (section 4). The general concept of a remediation certificate is that it closes regulatory liability for the party that has obtained it. This means a party that obtains a remediation certificate will not be subject to future regulatory requirements from AEP in relation to the substances or areas covered under the remediation certificate. However, additional contamination discovered at a later date that is not covered under the remediation certificate will not enjoy this same protection and could be subject to further regulatory action. The site-based remediation certificate provides the highest degree of regulatory protection. This type of certificate applies to the entire area that has been impacted by the activity. Specific requirements for obtaining a remediation certificate are set out in section 4 of the Remediation Regulation. Essentially, a site-based remediation certificate can only be issued where all of the contamination has been identified and cleaned up on the site and on other affected surrounding lands. There is an exception where a site-based remediation certificate could be issued for the specified parcel of land and where contamination remains off-site, provided that the remaining off-site impacts are subject to a risk management plan that has been approved by the director. It is important to recognize that the off-site areas under a risk management plan would not be captured under the remediation certificate, and therefore would not enjoy the regulatory closure that those certificates provide pursuant to section 117 of the Environmental Protection and Enhancement Act. The other type of remediation certificate is called a “limited” remediation certificate. These certificates do not apply to the entire area impacted by the activity, as with a site-based remediation certificate, but rather apply to the limited area that has been remediated to the satisfaction of the AEP director. These limited remediation certificates appear to be more suitable for a discrete type of event such as a known release on a known part of the site. To obtain a limited remediation certificate, the area of impact would need to be assessed and fully remediated to the satisfaction of the director. The certificate would apply only to that limited area, and the contaminants of concern that were identified and remediated. This is a less rigorous process than for the site-based remediation certificate and therefore provides a more restricted degree of regulatory protection. Site-based remediation certificates provide regulatory closure for an entire parcel of land, however, they require full assessment of any impacts on that site and then complete remediation. A limited remediation certificate, on the other hand, would not require a full assessment of the entire site, but rather only of the specific area for which the certificate is sought, and likewise would only provide regulatory closure for that specific area that has been assessed and remediated. The third type of document provide for under the new Remediation Regulation is called a Tier 2 compliance letter. This document is intended to provide some level of assurance or comfort to parties that were not able to obtain either a site-based or limited remediation certificate. In order to obtain any form of remediation certificate, some remediation must have actually been completed. If no remediation is conducted, a remediation certificate cannot be issued. The Tier 2 compliance letter was developed to account for situations where the remediation guidelines can be adjusted based on site specific conditions under Alberta’s Tier 2 process, with the effect that human health and the environment are still protected, but no remediation would actually be required. While the Tier 2 compliance letter may appear to be a solution where a remediation certificate is not available, its practical value appears to be limited as it does not provide regulatory closure like a remediation certificate would. The Tier 2 compliance letter is solely a creation of the Remediation Regulation, and is not grounded in section 117 of the enabling statute, EPEA, which provides certain statutory guarantees. The effect of this distinction is that an area or site for which a remediation certificate has been issued is not subject to further regulatory action by AEP, for example, requiring further remediation if the guidelines change. Conversely, an area that is the subject of a Tier 2 compliance letter does enjoy the same protections and further regulatory action could be required at a later date, for example, further remediation if the guidelines do change. It is uncertain what the practical benefit of a Tier 2 compliance letter is given the apparently limited degree of protection that it affords. The Remediation Regulation that came into force on January 1, 2019 sets out a revised regulatory regime that will be applied to contaminated sites in Alberta going forward. The new regime imposes additional requirements for assessment and reporting to AEP, as well as new timelines for doing so. However, given the significant discretion afforded to directors at AEP and the lack of precedents for how decisions will be made under this new regime, there is significant uncertainty as to how the Remediation Regulation will be applied, and how the directors’ discretion will be exercised over a variety of matters. Further, it appears that some of these new requirements will involve an enhanced degree of interaction with AEP in terms of reviewing site assessments, remedial action plans, risk assessments, risk management plans and other documents. It is unclear how AEP will handle this potential increased workload so as to ensure the new regime operates in an efficient and effective manner, rather than creating backlogs and other unintended consequences. The new site-based remediation certificate provides more comprehensive regulatory closure as compared to the limited remediation certificate. However, the higher degree of protection for the site-based certificate comes with greater assessment and remedial obligations. Depending on the unique circumstances of each site and intended purpose for obtaining a remediation certificate, consideration should be given as to what degree of regulatory closure is reasonably required balanced against the amount of work and cost associated with each type. Further, consideration should be given to the amount of time that may be required for processing of a remediation certificate application. Often, remediation certificates are sought to limit liability and facilitate some type of commercial transaction, such as the sale of land. However, the current timeline for obtaining a remediation certificate could be in excess of three years, which could wipe out any practical benefit depending on the commercial conditions of the transaction. In order to have an effective remediation certificate regime, the process will need to be reasonably responsive and operate on timelines that correspond to commercial realities. While the concept of a Tier 2 compliance letter appears to be sound and may be appropriate in certain circumstances, its practical utility is questionable given that the regulator could still come back at a future date and require a further action. To obtain the protections afforded by a remediation certificate, a proponent may consider conducting at least some remediation in order to be eligible for remediation certificate. However, the degree of remediation required in order to qualify for the remediation certificate program is an another currently open question. Overall, the Remediation Regulation sets out a new regime for managing contaminated sites in Alberta, building upon the existing remedial obligations embodied in section 112 of the Environmental Protection and Enhancement Act. Given the newness of this regime and the significant discretion afforded to AEP decision-makers, there is uncertainty as to how the regulation will actually be implemented. Sean D. Parker is the Co-Chair of the Energy, Environmental & Regulatory Practice Group at McLennan Ross and is regularly engaged to provide legal advice on a variety of environmental management and engineering projects, and commercial transactions. Sean acts for a wide variety of clients including: landowners, large industry players, municipalities, government departments and administrative tribunals. In his commercial litigation practice, Sean handles a variety of matters including contaminated site litigation, landlord-tenant disputes, property damage claims and others. The time Sean spent in the environmental consulting field becoming a lawyer provides him with a valuable technical foundation to support his practice in environmental, regulatory and natural resource law. Stuart Chambers is a partner at McLennan Ross practicing in the areas of energy, environmental & regulatory and commercial litigation, focusing on environmental and occupational health and safety regulatory law, and class actions. 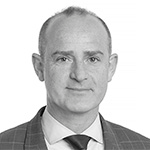 Stuart has extensive experience advising oilsands and other industrial operators in relation to environmental and health and safety law issues, in particular in preparation for and responding to regulatory investigations and prosecutions. Stuart has a wide range of experience in commercial litigation matters, including contractual disputes, recovery of funds and class actions. 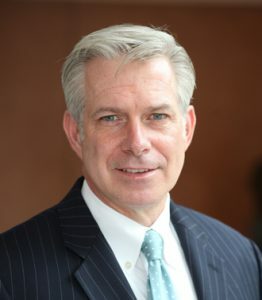 While Stuart has extensive experience in complex multiparty litigation, he is equally comfortable in finding efficient solutions for smaller disputes. He utilizes alternative dispute resolution methods including mediation and arbitration to resolve issues and has significant experience acting as both plaintiff and defendant counsel in class actions in Alberta and in British Columbia. Stuart advises organizations on contract interpretation, drafting and policy issues and has advised government and administrative tribunals on policy and adjudicative matters. This article was published with permission of the author. It was first posted on the Norton Rose Fulbright website. Max Collett provides quality, timely and practical advice to public and private sector clients on all legal matters pertaining to complex commercial real estate development and environmental law. He assists developers, First Nations economic development companies, governmental agencies and health authorities, amongst others, to structure the ownership of projects, and acquire, finance, construct, operate and sell institutional, industrial, commercial and residential developments. He has extensive experience with legal matters pertaining to the management or redevelopment of contaminated, brownfield sites. Mr. Collett is counsel on a diverse range of projects, from complex mixed-use strata developments, complex commercial developments, health care facilities to joint venture developments on First Nations lands. He regularly assists on institutional projects undertaken pursuant to public-private partnerships. Mr. Collett also advises commercial and industrial clients on all aspects of regulatory compliance with environmental laws. On December 13, 2018, Bill C-86, A second Act to implement certain provisions of the budget tabled in Parliament on February 27, 2018 and other measures, otherwise known as the Budget Implementation Act was given royal assent. This Bill, which was first introduced on October 29, 2018, predominantly pertains to amendments of budget-related legislation, but also proposes significant amendments to both the Canada Shipping Act, 2001(“CSA”) and the Marine Liability Act (“MLA”). The amendments to the CSA were introduced to allow the federal government to regulate for environmental reasons and specifically “to deliver on commitments made under the Oceans Protection Plan to enable the Government to respond to marine pollution incidents faster and more effectively, and to better protect marine ecosystems and habitats”. The amendments provide significant new powers and authority that potentially change the marine safety and environmental protection framework in Canada. The amended Section 10(1)(c) sets out that the Minister of Transport or the Minister of Fisheries and Oceans may enter into agreements or arrangements respecting the administration or enforcement of any provision of this Act or the regulations and authorize any person or organization – including a provincial government, local authority, council or other entity authorized to act on behalf of an Indigenous group – with whom or which an agreement or arrangement is entered into to exercise the powers or perform the duties and functions under this Act that are specified in the agreement or arrangement. The new Section 10(2.1) provides that the Minister of Transport may exempt any person or vessel or class of persons or vessels from any provisions of the CSA or the regulations if the exemption would allow the undertaking of research and development to enhance marine safety or environmental protection. The new Section 10.1 provides that the Minister of Transport may make an interim order if he or she believes that immediate action is required to deal with a direct or indirect risk to marine safety or to the marine environment. Such interim order has effect from the time that it is made and remains in effect for a period one year, or any shorter period that may be specified in the interim order. However, the interim order may be extended by the Governor in Council for a period of no more than two years after the end of the applicable period. regulating or prohibiting the loading or unloading of a vessel or a class of vessels. New penalties for non-compliance by the amendment in Section 40.1 which provides for a fine of not more than $1,000,000 or to imprisonment for a term of not more than 18 months, or both. The amendments to Sections 168.3, 175(2) and 180(1) allow the Minister or the Minister of Fisheries and Oceans who believes on reasonable grounds that a vessel or an oil handling facility has discharged, is discharging or may discharge a pollutant, to take measures that he or she considers necessary to repair, remedy, minimize or prevent pollution damage from the vessel or oil handling facility. The amended Section 101(1.1) provides that the Ship-source Oil Pollution Fund is liable for the costs and expenses incurred by the Minister of Fisheries and Oceans or any other person in respect of measures taken under subsection 180(1) of the Canada Shipping Act, 2001 with respect to oil, or for loss or damage caused by those measures, for which neither the owner of a ship, the International Fund nor the Supplementary Fund is liable by reason of the fact that the occurrence or series of occurrences for which those costs and expenses were incurred did not create a grave and imminent threat of causing oil pollution damage. The addition of Section 114.1 imposes levies on receivers and exporters of oil to be used to replenish the Ship-source Oil Pollution fund when depleted. New penalties for non-compliance by the addition of Section 130.01 which provides for a fine of $50,000 per individual and, in the case of any other person, $250,000. While these amendments are intended to improve maritime safety and environmental protection, it is not yet clear as to the impact these provisions will have upon the current Canadian marine and environmental framework. It seems that some of the provisions are ambiguous or will be challenging to apply. Without further guidance on how these new measures will be implemented, and clarity on who has the regulatory authority to enforce or take action provided thereunder, the uncertainty will ultimately lead to litigation with the courts left to determine the appropriate outcome. It will be interesting to see how the amendments to the CSA and the MLA will affect and bring about change to the maritime industry. A cautionary note: The foregoing provides only an overview and does not constitute legal advice. Readers are cautioned against making any decisions based on this material alone. Rather, specific legal advice should be obtained. This article is republished with the permission of the author. It was first posted on the McMillan LLP website. Joanna is a senior associate in the Business Law Group and the Transportation Group in the firm’s Vancouver office. She practices in the areas of corporate, commercial and maritime law. Joanna routinely advises companies in the marine industry and a wide range of other industries on general corporate and commercial matters, including mergers and acquisitions, sales and purchases of businesses and marine assets, business structuring and organization, corporate restructuring and reorganization, and preparation and negotiation of agreements and contracts. Joanna’s clients turn to her for day-to-day advice on their company operations and appreciate her practical and business-minded legal advice. She brings to her practice a depth of knowledge in the marine and transportation sectors acquired through her experience in working with ferry operators, shippers, ship owners and charter parties, and ship builders, locally and internationally. On February 4, 2019, a federal court ruled that the U.S. Chemical and Safety Hazard Board must issue regulations within one year that set forth reporting requirements for accidental releases of hazardous substances into the ambient air. This requirement has been part of the Board’s statutory mandate since its inception in 1990 pursuant to Section 112(r)(6)(C)(iii) of the Clean Air Act (“CAA”). Nevertheless, the Board has never issued any such regulations. Four non-profit groups and one individual filed a one-count complaint against the Board, seeking declaratory relief and an injunction to compel the Board to promulgate reporting requirements as required by the CAA. Plaintiffs claimed that the Board had violated the Administrative Procedure Act by not issuing any regulations. Plaintiffs further asserted the lack of reporting requirements have impaired their respective abilities to collect information that would help prevent future releases and the harm caused from such releases. The United States District Court for the District of Columbia agreed with the plaintiffs and ruled that the Board must issue regulations within one year. In reaching its decision, the Court rejected the Board’s defenses that the delay in promulgating regulations was reasonable given the Board’s limited resources, small staff size, and other required functions. “[I]f that is the case,” the Court said, “the solution to its resource constraints is not to ignore a congressional directive[,] [i]t is to return to Congress and ask for relief from the statutory requirement.” The case is Air Alliance Houston, et al. v. U.S. Chem. & Safety Hazard Investigation Bd., D.D.C., No. 17-cv-02608, February 4, 2019. The Court’s decision appears to follow a similar one issued in August 2018 in which some of the same plaintiffs brought a complaint against the U.S. Environmental Protection Agency. In that case, the plaintiffs petitioned the D.C. Court of Appeals for review of the EPA’s decision to delay for 20 months the effective date of a rule designed to promote accident safety and enhance the emergency response requirements for chemical releases. The Court rejected all of EPA’s defenses justifying the delay in a strongly-worded opinion that held the agency strictly to the letter of the CAA. That case is Air Alliance Houston, et al. v. EPA, 906 F.3d 1049 (D.C. Cir. 2018). The same directness is evident in this recent decision. Ultimately, the practical effect of the ruling is not clear. There are already laws in place that require companies to report accidental releases to state and federal authorities. It is possible the Board will promulgate regulations that align with its current practice of deferring reporting requirements to other agencies. If the Board took that approach, there likely would not be a noticeable difference in reporting requirements from the current practice. On the other hand, the two recent decisions discussed above suggest that a trend may be forming in which the courts are pushing back when the government steps off its clear statutory path. This article has been republished with the permission of the authors. The original post of this article can be found on the Stoel Rivers LLP website. Lou Ferreira is a senior partner with more than 27 years of complex trial experience. His practice focuses on commercial litigation, insurance coverage and environmental, safety & health issues. A seasoned litigator, Lou has significant experience in high-stakes litigation including successfully defending a class action filed against a utility by residents of a town in Washington asserting that the utility was liable for flooding as a result of the operations of its upstream dams. Lou successfully defended a port in Washington from a $20 million lawsuit brought by developers alleging breach of contract to develop a large mixed-use waterfront project on the Columbia River. Willa Perlmutter has more than 30 years of experience as a litigator, focusing for the last 20 on defending mine operators across all sectors of the industry in administrative enforcement proceedings brought by the Mine Safety and Health Administration (MSHA) for alleged violations of the Mine Act. In addition, she regularly counsels clients on a broad range of issues that affect their mining operations, from personnel policies and actions to compliance with a broad range of federal statutes. Willa regularly defends companies and individuals facing investigations and formal legal proceedings for alleged safety and health violations under both the Federal Mine Safety and Health Act of 1977 and the Occupational Safety and Health Act of 1970, whether those arise out of a catastrophic event, such as an accident, or in the course of a regular inspection by MSHA or Occupational Safety and Health Administration (OSHA). She has successfully defended a number of mining companies in whistleblower cases brought under the Mine Act. Guy Thompson is a litigator and advisor on a wide-range of insurance matters. His practice focuses on insurance coverage litigation, including natural resources/environmental insurance coverage, and a wide variety of risk management issues. Guy helps policyholders obtain the recovery they deserve from their insurers and has helped recover millions of dollars from insurance companies for his clients. Guy is skilled at getting insurance carriers to cooperate in paying claims and often secures settlements with insurers without the need for litigation. Recently, he helped recover over $1.65 million from multiple insurance carriers for a Portland company that was required to perform environmental cleanup by the Oregon Department of Environmental Quality. http://hazmatmag.com/wp-content/uploads/2019/03/file-20171029-13378-7w18ow.jpg 672 926 hazzmatt1 http://hazmatmag.com/wp-content/uploads/2017/01/hazmat-logo.jpg hazzmatt12019-03-12 08:17:292019-03-12 08:17:31Are New United States Regulations Coming for Accidental Releases into Air? The potential conflict between federal insolvency law and provincial environmental law that came to a head in Orphan Well Association v Grant Thornton Ltd (“Redwater“) was settled by the Supreme Court of Canada (the “SCC“) on January 31, 2019 in a split 5-2 decision. Specifically, Redwater addresses whether environmental orders are binding on an insolvent estate, or if a trustee can disclaim unprofitable lands subject to the environmental orders, treating the regulator as an unsecured creditor. In a contested decision, the SCC considered a test it had previously established to determine whether a regulatory order was enforceable against the debtor’s estate as opposed to merely constituting a provable claim in the bankruptcy (the “Abitibi Test“, described below). If a regulatory order was found to meet theAbitibi Test and therefore found to be a claim provable in bankruptcy, then it would be stayed and treated as any other unsecured debt. The SCC in Redwater determined that the Abitibi Test had been interpreted too broadly by the lower courts, therefore narrowing the circumstances where such an order would be reduced to a claim provable in bankruptcy. The majority of the SCC in Redwater significantly expanded the circumstances in which costly end-of-life environmental or other regulatory orders will effectively trump secured and other creditors in an insolvency. The SCC further held that the regulator should not be characterized as acting as a “creditor” in this case where the regulator sought to enforce an insolvent company’s end of life obligations and consequently does not have a claim provable in bankruptcy. In arriving at its decision, the SCC held that there was no conflict between the applicable provisions of the Bankruptcy and Insolvency Act, RSC 1985, c B-3 (“BIA“)  and Alberta’s environmental regulatory statutes that would trigger the doctrine of federal paramountcy. The SCC overturned the decisions of both the Alberta Court of Queen’s Bench and the majority of the Alberta Court of Appeal, both of which held that there was a conflict between the applicable federal and provincial acts that found that provincial environmental law, to the extent that it created a practical super‑priority in favour of the regulator, to be inoperative. The Attorney General of Ontario intervened in the case and supported the Alberta regulator’s position that its environmental orders should continue to operate in bankruptcy. Although Ontario’s submissions focused on its provincial oil and gas industry, all corporations that could be subject to regulatory orders, including owners and operators of contaminated lands, may be affected. Redwater Energy Corporation (“REC“) was an oil and gas company operating in Alberta. The Alberta oil and gas industry is regulated by the Alberta Energy Regulator (“AER“). The AER regulates the oil and gas industry by issuing licenses for each oil and gas well or pipeline, and then by imposing on each licensee conditions that control all aspects of the operation, disposition and eventual shutting-in of the licensed property. It issues licenses, approvals, permits, orders, decisions and directions pursuant to authority derived from statutes such as the Oil and Gas Conservation Act (“OGCA“) and the Pipeline Act (“PA“). In Alberta non-producing wells do not need to be “abandoned” (plugged) and reclaimed (remediated) within any set timeframe. The many non-producing wells often sit for years or even decades. They are also commonly transferred to subsequent licensees, who may or may not be sufficiently capitalized to perform their end‑of‑life obligations. Like many oil and gas companies ceasing operations, REC held licenses for both non-producing oil and gas wells. it would not approve any transfers of REC’s (valuable) oil and gas assets unless it was satisfied that both the transferor and transferee would be in a position to fulfill all environmental obligations and the proceeds of sale were paid to the AER as security for the end‑of‑life obligations. At the time of the receivership, REC had both producing and non-producing wells. The receiver concluded that the cost of the end-of-life obligations for the non-producing wells would likely exceed the sale proceeds of the producing wells. As such, the receiver renounced or disclaimed the non-producing wells pursuant to s. 14.06(4) of the BIA, taking possession and control of only the productive wells. Nonetheless, the AER issued orders requiring REC to abandon and reclaim, “for environmental and public safety reasons”, the non-producing assets that the receiver had renounced. Subsequently, REC was assigned to bankruptcy and the receiver was appointed as the bankruptcy trustee. The trustee took the position that, as a result of the disclaimer, it had no obligation to comply with the AER’s orders in relation to the renounced wells and attempted to maximize recovery for creditors through sale of the profitable wells. The AER, along with the Orphan Well Association, a non-profit organization operating under authority delegated by the AER, sought a declaration that the trustee’s disclaimer was void, and an order compelling compliance by the trustee with the abandonment and remediation orders issued by the AER. The AER’s position was, in essence, that the environmental orders were regulatory in nature and continued to bind the trustee during the bankruptcy notwithstanding the consequences this may have for the bankrupt’s creditors. The trustee brought a cross-application for approval of the sale of assets, and a ruling on the constitutionality of the AER’s position. The main constitutional issue was whether the AER’s abandonment orders and certain provisions of Alberta’s applicable environmental legislation conflicted with the federal BIA – which would result in certain provisions of the provincial environmental legislation being held in abeyance and the BIA overriding. The Abitibi Test has been applied by the Ontario Court of Appeal in Nortel Networks Corp. (Re),(“Nortel“) and Northstar Aerospace, Inc. (Re) (“Northstar“). Both cases concerned clean-up orders for legacy contaminated sites owned by insolvent corporations. In Nortel, the Ministry of the Environment (“Ministry“) issued remediation orders after the corporation’s CCAA filing. These orders dealt with a number of properties and would have required certain of the debtor companies (referred to collectively as “Nortel“) to expend approximately $18 million to remediate the properties. Nortel brought a motion before the CCAA judge seeking a declaration that the Ministry orders were monetary in nature and thus, were stayed by the CCAA proceedings, meaning it could cease complying with the orders. It also sought a declaration that the Ministry’s claims had to be dealt with as part of the CCAA. The Ontario Court of Appeal found that the key issue was the third branch of the Abitibi Test; specifically, the Court of Appeal held that in order for a monetary value to be attached to the debt, it had to be sufficiently certain that the Ministry would perform the remediation work itself and then have a claim for indemnification against Nortel. With the exception of one property, the Court of Appeal found it was not sufficiently certain the Ministry would perform the remediation itself and thus, the claim was not stayed and the regulatory orders had to be complied with, depleting assets from the estate that would otherwise be paid to Nortel’s creditors. By contrast, in Northstar, the Ontario Court of Appeal found it was sufficiently certain that the Ministry would perform the remediation work itself, given that the Ministry had already taken steps towards conducting the remediation itself, there was no funding available to the debtor or the trustee to do remediation work, and there were no other parties who could be required to perform the work. Consequently, the Ministry’s order was found to be a provable claim that was stayed by the insolvency proceeding – to be determined and paid in the same manner as all other creditors of the estate. Subsequently, the Ministry chose to pursue Northstar’s directors and officers personally. In his May 19, 2016 decision (the “Chambers Decision“), Chief Justice Wittmann of the Alberta Court Queen’s Bench found that there was a conflict between the provincial and federal laws. Specifically, he found that requiring a trustee to comply with abandonment orders issued pursuant to provincial legislation in relation to renounced licensed assets triggered the doctrine of federal paramountcy as there was an operational conflict between s. 14.06(4) of BIA and the provincial law. The obligation to comply with the AER orders required payment of, or the posting of security for, the abandonment costs to the AER in priority to all others, including secured creditors. This frustrated the primary purposes of the BIA, as its distribution scheme would be upset. Chief Justice Wittman stated that it was conceded by the OWA and AER that the first and second branches of the Abitibi Test were met. However, the AER argued that the fact that there were monetary consequences to its orders was not determinative of the third branch of the test. Chief Justice Wittman disagreed and found that there was no funding for the receiver to carry out the work, the receiver was not in possession of the renounced properties and therefore could not carry out the work, and that there were no other parties who could be required to carry out the work. Further, he found either the AER or OWA would probably carry out the work, and therefore that, although not expressed in monetary terms, the AER orders were “intrinsically financial,” and sufficiently certain. If the regulator’s actions indicate that, in substance, it is asserting a provable claim within the meaning of federal legislation, then that claim can be subjected to the insolvency process. The majority held that a trustee is entitled to abandon or renounce oil and gas assets encumbered with environmental obligations and that the AER’s demand for security for remediation diverted value from the bankrupt estate. This was reason enough to classify the claims of the AER as financial in nature, thereby making it a “creditor” whose claims are subject to the priorities prescribed by the BIA. The majority found that AER’s claims met the test for a provable claim in s. 14.06 of the BIA and did not have higher or special “super priority” over the claims of secured creditors. Under the proper interpretation of the BIA, the AER could not insist that substantial parts of the bankrupt estate be set aside in satisfaction of the environmental claims in super priority over the claims of secured creditors. In her dissent, The Honourable Madam Justice Sheilah Martin, prior to her elevation to the Supreme Court of Canada, disagreed with the majority, found no conflict between the legislation, and noted that the environment was an area that called for “co-operative federalism.” Justice Martin noted that that the “cradle to grave” approach to regulation now stopped at “insolvency,” moving the “polluter pays” policy to a “third party pays” system. Justice Martin found that license obligations are public duties, not debts owed to the regulator. Abandonment and reclamation are necessary for public health and safety, reducing the environmental impact of drilling activities, and ensuring private landowners are not left with unused and potentially unsafe well sites on their land. …. During the course of its operations, various contaminants spilled on the lands owned by Abitibi and the government issued orders and tried to have those lands transferred to the government through legislation. As the Supreme Court noted, when such conditions arise, “regulatory bodies sometimes have to perform remediation work”. The decisions of the Ontario Court of Appeal in Nortel and Northstar Aerospace Inc., Re, 2013 ONCA 600, 234 A.C.W.S. (3d) 642 (Ont. C.A. ), both decided after Abitibi, also dealt with the same type of industrial contamination on land owned by the debtors, and the same kind of clean-up order. Contrast that with the licensing and regulatory regime here. The abandonment obligations are not an unknown or unexpected event; all parties involved know these obligations will arise at the end of the life of the well. In significant contrast to the majority justices and Chief Justice Wittman in the Chambers Decisions, Justice Martin also held that the first branch of the Abitibi Test had also not been met because the regulatory body was not a creditor of the insolvent company. Quoting Laycraft CJA in Northern Badger, Justice Martin held that the cost of abandoning licensed wells “was one of the expenses, inherent in the nature of the properties themselves, taken over for management by the Receiver,” and that the cost was not owed to the regulator, or to the province. not all environmental obligations enforced by a regulator will be claims provable in bankruptcy. Further, the regulator’s orders in this case were not claims provable in bankruptcy, and the priority scheme in the BIA was not upended. Thus, no conflict was caused by the trustee’s status as a licensee under Alberta legislation. Alberta’s regulatory regime can coexist with and apply alongside the BIA. The majority of the SCC also reframed its own Abitibi Test to determine whether a regulator’s action amounts to a claim provable in bankruptcy with respect to the first and third branches of the test. The first branch of the test requires that there must be a debt, liability or obligation to a “creditor”. The SCC agreed with the regulator and Martin JA and held that the Court of Queen’s Bench and Alberta Court of Appeal (as well as the Ontario Court of Appeal in Nortel) had incorrectly, and overly broadly, interpreted the circumstances in which a regulator will be considered a creditor. The majority rejected the concessions made by the regulator on the creditor issue at the lower courts, noting that “concessions of law are not binding.” In Nortel and Northstar the courts applied the Abitibi Test to find that the first branch of the test was always made out when a regulator exercises its statutory enforcement powers against a debtor. The SCC found that where the regulator acts in a bona fide regulatory capacity in the public interest and for the public good, and is not seeking a pecuniary benefit, it is acting in a regulatory capacity rather than as a creditor. Echoing Justice Martin’s statement, the SCC held that where the public is the beneficiary of the enforcement action (and not the government’s coffers as in AbitibiBowater), the first branch of the test will not be made out. Rather, in Redwater the majority found that the orders were made in the public interest and for the public good. Therefore the regulator was not a creditor of REC as the public was the beneficiary of the environmental obligations. The majority rejected the trustee’s argument that the first “creditor” branch of the Abitibi Test would be satisfied whenever a regulator exercises its enforcement powers against a debtor. The majority instead agreed with the submissions of Ontario that the creditor part of the test would be meaningless if it were not possible for the test to turn on whether a regulator is a creditor of the bankrupt. The Supreme Court went on to discuss the third branch of the Abitibi Test, or the “sufficiently certain” branch. The majority noted that the regulatory end-of-life obligations did not directly require REC to make a payment to the regulator, but rather obliged REC to “do something”. The majority rejected the characterization of the orders as “intrinsically financial” applied by the majority of the Alberta Court of Appeal, finding that this application would be too broad. This would result in a provable claim being established even where the existence of a monetary claim in bankruptcy was merely speculative. The third branch of the test was the focus of the courts analysis in Nortel and Northstar. The Supreme Court confirmed the approach of the Ontario Court of Appeal in Nortel, finding that ongoing environmental remediation obligations may be reduced to monetary claims only where: (i) the regulator has performed the remediation work and advanced a claim for reimbursement, or (ii) it is sufficiently certain that the province will do the work and seek reimbursement. The Supreme Court stated that Northstar could be distinguished, because in that case the Ministry had already stepped in to conduct the remediation. Anxiety among lenders in Alberta’s oil and gas industry, where the number of non-producing wells is rapidly escalating, could signal rapid market decline. If lenders, given the uncertainty, are unwilling to provide additional credit, many more wells may end up in the orphan system, with fewer industry participants contributing to the fund. Many commentators have noted that as a result of the Redwaterdecision, companies with potential significant environmental liabilities may have difficulty finding new capital or restructuring. The outcome of Nortel would likely be the same under the new Redwater decision. The Supreme Court in Redwater cites the Northstar case in support of the proposition that where the Ministry steps in to conduct remediation, the third branch of the Abitibi Test is made out. However, it is possible that the Supreme Court’s approach to the first branch of the Abitibi Test could mean that in certain circumstances, even where the Ministry has demonstrated that it will conduct the remediation itself, the Ministry is still considered a bona fide regulator and thus, the order would not be a provable claim. Unless there is legislative change, it is clear that the Redwater decision will have implications on the way that regulatory “clean-up” orders are treated during an insolvency, particularly in cases where the facts fall somewhere between Nortel and Northstar. We expect the Ministry (and other environmental stakeholders) will take the position that, except in unusual circumstances, regulatory orders are not stayed during insolvency and must be complied with before the distribution of the insolvent corporation’s assets to other creditors. Where an insolvent estate does not have significant assets, environmental costs may mean there is nothing left for creditors. In some cases, the decision may be welcome news to stakeholders such as directors and officers of insolvent companies, other persons who may also be obliged to address the contamination and neighbouring property owners because they will not have to bear the burden of the clean-up. In Northstar,for example, the Ministry pursued the directors and officers personally after the remediation obligations of the company were found to rank alongside the claims of unsecured creditors. For creditors, however, the Redwater decision may reinforce the recent trend in environmental law of displacing polluter pays for “third-party pays”, particularly when that third party has deep pockets. The Redwater decision confirms that the Ministry will not be seen as a creditor where it acts in a regulatory role. However, the Supreme Court’s comments demonstrate that even post-Redwater, if the Ministry steps in to do the work itself, then it becomes a creditor and its order will be relegated to a claim provable in bankruptcy. This leaves the Ministry in a difficult position when requiring clean-up work from a company that may become insolvent. If the risk to human health or the environment is so significant that the Ministry must step in to do the work, the Ministry may prejudice its position in the insolvency. If the Ministry does not take steps to do the work and the corporation becomes insolvent, the estate will have to fund the remediation. This creates a potentially perverse incentive where allowing the risk to remain for the interim ultimately improves the Ministry’s position. The implications of the Redwater decision will encourage creative solutions to deal with remediation during insolvency proceedings. One such solution is the appointment of an environmental receiver, such as the one used in the Outboard Marine insolvency. In that case, an environmental receiver (an environmental consulting firm) was appointed by the court to manage the fund for remediation and to conduct the Ministry-ordered clean-up during the insolvency process. The receivership order authorized the environmental receiver to implement environmental remediation activities, to retain consultants, to apply for permits, licenses and approvals as may be required, to receive funds from the disbursement receiver, and to disburse funds to pay approved environmental remediation costs. There may be other situations where it would be “just or convenient” to appoint an environmental receiver to address irreparable harm or imminent danger to health, safety, private and public property, wildlife, natural resources and compliance with environmental laws caused by ongoing and historical contamination of source sites. At first glance the Redwater case appears to be good news from both an environmental and cooperative federalism perspective. However, in addition to the lender and insolvency uncertainty in the oil and gas industry noted by many commentators, the Redwater decision may complicate insolvency proceedings in any industry with an inherent environmental impact. While Ontario’s smaller oil and gas extraction industry is regulated differently and may not face the same pressures as the industry in Alberta, the Redwater decision will have legal, economic and environmental implications on owners and users of potentially contaminated property, those helping them wind down operations, and other stakeholders. Orphan Well Association v. Grant Thornton Ltd., 2019 SCC 5 (“Redwater SCC“) Note that, while this article concerns the impact of the Redwater decision on industrial operations in Ontario, our colleagues in Alberta have written about the impact of the decision from their perspective as counsel for the trustee/respondent on the appeal. Although Redwater was a bankruptcy and accordingly, the court analyzed the case under the BIA, analogous issues arise with respect to restructurings under the Companies’ Creditors Arrangement Act, RCS 1985, c C-36 (“CCAA”). This paper will refer to “insolvency proceedings” generally as proceedings instituted under either act. Note that this relationship is not perfect as there are different purposes for the CCAA as compared to the BIA and accordingly, it is possible that a court would reach a different conclusion with respect to paramountcy under the “frustrating the purpose of the act” branch of the paramountcy test. However, the courts have generally interpreted the statutes harmoniously. SCC Decision at para 16: Abandonment” refers to “the permanent dismantlement of a well or facility in the manner prescribed by the regulations or rules” made by the Regulator (OGCA, s. 1(1)(a)). Specifically, the abandonment of a well has been defined as “the process of sealing a hole which has been drilled for oil or gas, at the end of its useful life, to render it environmentally safe” (Panamericana de Bienes y Servicios S.A. v. Northern Badger Oil & Gas Ltd., 1991 ABCA 181, 81 Alta. L.R. (2d) 45 (“Northern Badger“), at para. 2). The abandonment of a pipeline refers to its “permanent deactivation . . . in the manner prescribed by the rules” (Pipeline Act, s. 1(1)(a)). As the AG of Ontario noted in its submissions, in Ontario the operator of a non-producing oil or gas well is expected to plug the well (abandon in Alberta) within 12 months after it is taken out of use. [O. Reg. 245/97: Exploration, Drilling and Production under the Oil, Gas and Salt Resources Act, R.S.O. 1990, c. P.12 “O.Reg. 245/97“), s. 19; Oil, Gas and Salt Resources of Ontario, Provincial Operating Standards (“Provincial Standards“), ss. 11.01-11.14.] Operators are also required to return the well site to its original condition no later than 6 months from the plugging date. [Provincial Standards, s. 11.13]. In practice this does not always happen. This article is republished with the permission of the authors. It was first published on the Gowling WLG website. Erin Farrell is a partner in Gowling WLG’s Toronto office, practising in the firm’s advocacy department. Her practice focuses on a variety of commercial litigation matters, including class actions, product and professional liability, environmental law and municipal liability. Erin represents professionals in both civil and administrative matters, and has defended a number of Canadian and foreign clients in the pharmaceutical, medical device and manufacturing sectors in litigation. She also has extensive experience in the banking sector, advising clients on a range of litigation matters, including a variety of motions and injunctions. Jessica Boily is an associate in Gowling WLG’s Toronto office, practising in Environmental Law. Jessica works with clients to navigate and resolve complex disputes, including advocating for clients in appeals of environmental orders and civil litigation involving contaminated sites. She guides clients through regulatory inspections and investigations, including defending clients charged with federal, provincial and municipal environmental and regulatory offences. 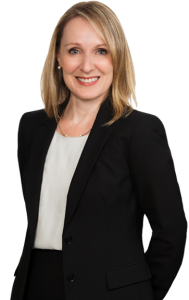 Jessica regularly appears before the Environmental Review Tribunal and all levels of courts in Ontario on motions, applications, trials, hearings, appeals and judicial reviews. She also advocates for her clients in mediations and arbitrations. Haddon Murray is an associate lawyer in Gowling WLG’s Toronto office, practising in the areas of restructuring and insolvency and corporate commercial litigation. Haddon represents corporations and their directors on claims ranging from standard litigation to complex restructurings. He has experience appearing before the Ontario Superior Court of Justice – Commercial List, as well as the Ontario Court of Appeal. 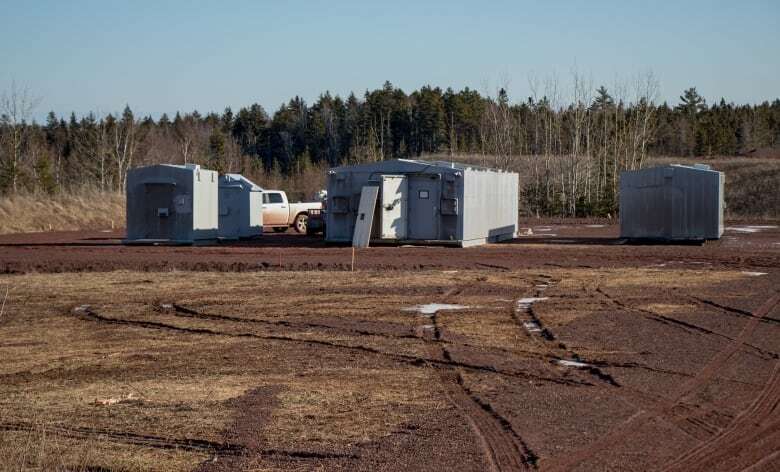 As reported by the CBC, International oil services company Halliburton is preparing to open an explosives storage facility in Nova Scotia’s Hants County next month. The location of the facility is the former barite mine, approximately two kilometres off the main road. It will be used to store explosives that are used in oil and gas exploration. Natural Resources Canada’s (NRCan) Explosives Safety and Security Branch (ESSB) administers the Canadian Explosives Act and Regulations. Manufacturers, importers, exporters, transporters, sellers, or users of explosives are all subject to the Explosives Act and Regulations. The buildings the explosives will be stored in are specially designed to help contain explosions. Emily Mir, a spokesperson for Halliburton, said the facility will be comprised of several secured storage modules surrounded by a steel fence. Explosives will be trucked from Halliburton’s Jet Research Center in Alvarado, Texas, to the Nova Scotia storage facility, where they will be stored until they’re needed at other locations in Eastern Canada. Explosives are used to create holes in the steel pipes at the bottom of exploration wells to allow oil or gas to flow into the pipe for extraction. They are also used to help remove pipes from wells when they are no longer in production. Local politicians and residents have raised concerns about the facility and claim they have been kept in the dark about the construction and operation of the facility. Abraham Zebian, the warden of the Municipality of the District of West Hants, said he was caught off guard by CBC’s questions about the project, as he had little information about it. But he said he does have concerns. The Barite mine where the explosives storage facility will located operated for approximately 40 years and used dynamite on a daily basis. An an unfortunate blast was made in one of the large fault zones in 1970 which resulted in flooding of the mine. It ended production 1978. During its operation it was Canada’s largest barite mine and one of the largest deposits in the world. The previous owner of the site had a tailings pond that overflowed into the Minas Basin. After Halliburton acquired the property they demolished the old buildings and built a safer berm around the tailings pond. Ms. Mir told the CBC that the explosives will have the same grade of charges as those used in the mining industry. The amount of explosives stored on site will depend on demand, she said, adding that Halliburton expects to store substantially less than the company’s permit allows. Explosives are highly regulated by Natural Resources Canada under the Explosives Act and Regulations. Transportation of the explosives would need to conform with the federal Transportation of Dangerous Goods Act and Regulations. Ms. Mir said Halliburton received all necessary permits from Canada’s Department of Natural Resources – Explosives Regulatory Division for storage. The Nova Scotia Environment Ministry, Margaret Miller, confirmed with the CBC that no provincial permits were required for the storage site. The company did apply to Municipality of the District of West Hants and received a permit for the facility. The permit allows for an industrial accessory steel storage building for storage relating to future offshore oil and gas industry. The permit was issued Nov. 13, 2018, for a 16-foot by 60-foot single storage building. ​Ms. 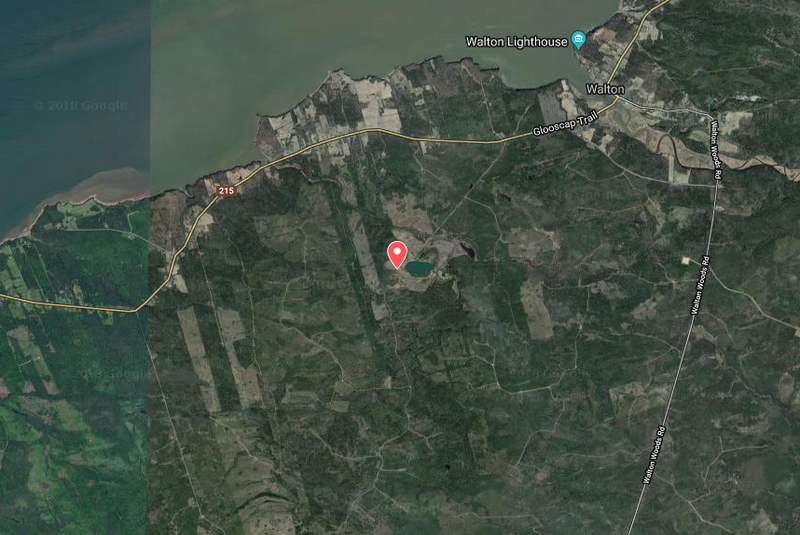 Mir said Halliburton has obtained all the necessary permits for the project from Natural Resources Canada as well as a building and development permit from the municipality. On January 31, 2019, the Corporation of the City of Kawartha Lakes entered into a diversion agreement with the Public Prosecution Service of Canada after Environment and Climate Change Canada (ECCC) laid charges under the Fisheries Act. The agreement requires the city to pay $75,000 to the Environmental Damages Fund; update their standard operating procedures for drain works; and publish a notice of the incident on the city’s website. Charges laid against the city will be withdrawn once all measures outlined in the diversion agreement have been met, as determined by the Public Prosecution Service of Canada. The City of Kawathra Lakes in Ontario, approximately 70 kilometres northeast of Toronto. Kawartha Lakes is the size of a typical Ontario county and is mostly rural. It is the second largest single-tier municipality in Ontario by land area. In August 2014, a city-hired contractor carried out maintenance work on the a drainage works. The work resulted in a sediment release into the fish-bearing waterway. Environment and Climate Change Canada enforcement officers investigated the incident and determined that the sediment concentrations released during the work were deleterious to fish. It was also determined that the work was undertaken without taking adequate steps to mitigate the release of sediments into the waterway. Kawartha Lakes communications manager Cheri Davidson told MyKawthra.com that there was concern that the method used to dismantle the blockage resulted in silt and sediment being released into that drain when one of the city’s silt controls failed, which in turn resulted in the death of fish. The City of Kawartha Lakes agreed to donate $75,000 to the Environmental Damages Fund (EDF) on condition that the charges laid by ECCC be withdrawn. Kawartha Lakes has made changes to the way it looks after drains to reduce the possibility for sediment to escape into the surrounding environment. The municipality has also funded Kawartha Conservation’s update to the drain maintenance classification. Created in 1995, the Environmental Damages Fund is a Government of Canada program administered by Environment and Climate Change Canada. The Fund follows the polluter pays principle and ensures that court-awarded penalties are used for projects with positive environmental impacts. Ontario’s Environmental Protection Act (“EPA”), section 18 permits the Ministry of the Environment, Conservation and Parks (“MECP”) Director to issue an Order to any current or former owner or occupier of contaminated property. Section 18 Orders are no-fault Orders. Section 18 Orders do not require the orderee to have any nexus to the polluting activity aside from the orderees’ current or former ownership and/or occupation of a contaminated property. In Hamilton Beach Brands Canada, Inc. v Ministry of the Environment and Climate Change,  the the MECP Director issued a no-fault section 18 Order to the current owner of a contaminated property, former owners of the property, and the current tenant of the property. The orderees challenged the broad scope of the Director’s no-fault section 18 Order. The orderees argued, inter alia, that Section 18 orders are “absurd”. The orderees appealed the section 18 Order to the Environmental Review Tribunal (“ERT”). For purposes of the appeal only, the MECP agreed that the orderees did not cause historic contamination at the source property. an “adverse effect” (as defined in the EPA) has occurred, is occurring and/or may occur in the future. The orderees then appealed the ERT’s decision upholding the MECP Director’s Order to the Ontario Superior Court of Justice – Divisional Court. The orderees argued that the ERT’s decision was wrong and should be reversed on a standard of correctness. The Divisional Court disagreed with the orderees and held that the ERT’s decision met both the standard of reasonableness (Dunsmuir) and the standard of correctness. … the [ERT] carefully considered the [orderees’] interpretation … It rejected their interpretation of s. 18. In doing so, it applied the principle of modern statutory interpretation … The [ERT] decision is transparent, justified and intelligible and falls well within the range of possible outcomes (Dunsmuir at para 47). The Tribunal’s decision was reasonable and, in my view, correct and consistent with the modern principles of statutory interpretation. The Ontario Divisional Court upheld the MECP’s jurisdiction to issue no-fault Orders requiring off-site investigation. On December 12, 2018, the Ontario Court of Appeal denied the orderees leave to appeal from the Divisional Court’s decision. The upshot of Hamilton Beach is that Ontario Environmental Protection Act, section 18 no-fault Orders requiring off-site environmental investigation are permitted even where the Orderee did not have any association with the polluting activity aside from the Orderee’s current or former ownership and/or occupation of the contaminated source property. 2018 ONSC 5010 at para 73. Marc McAree is a partner at Willms & Shier Environmental Lawyers LLP and a Certified Specialist in Environmental Law. He provides advice and solutions to a wide range of clients that help them overcome their environmental law and litigation issues. Marc also provides mediation on environmental issues. Marc is admitted to the bars of Ontario and British Columbia. Marc may be reached at 416-862-4820 or by e-mail at mmcaree@willmsshier.com. Anand Srivastava is an associate at Willms & Shier Environmental Lawyers LLP. He has expertise in assisting a broad range of clients with environmental law and litigation issues. Anand draws on his science background to facilitate practical solutions to complex environmental legal issues. Anand is called to the bar of Ontario. He may be reached at 416-862-4829 or by e-mail at asrivastava@willmsshier.com.